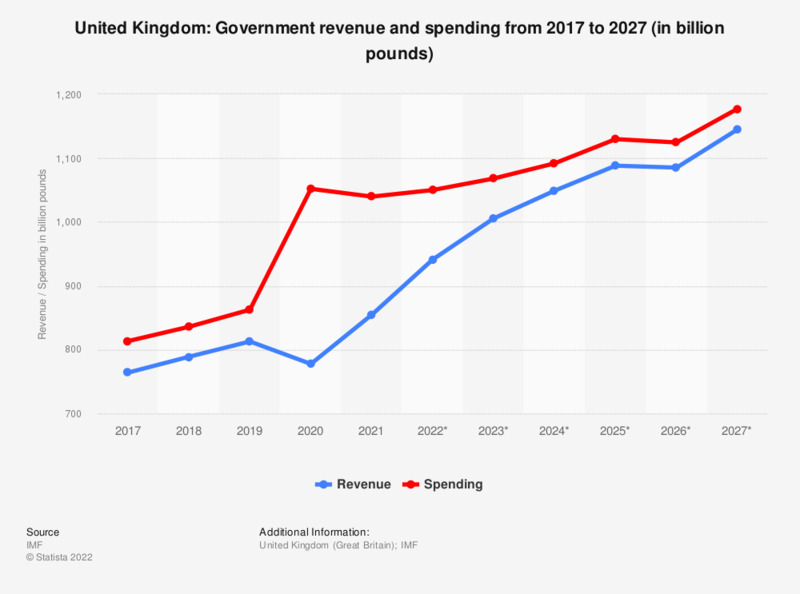 This statistic shows the government revenue and spending in the United Kingdom from 2012 to 2017, with projections up until 2022. In 2017, the government revenue in the United Kingdom amounted to around 746.66 billion pounds, while government spending came to around 782.84 billion pounds. According to the source, these figures refer to the United Kingdom and include Great Britain (England, Wales, Scotland) as well as Northern Ireland. Everything On "United Kingdom" in One Document: Edited and Divided into Handy Chapters. Including Detailed References. United Kingdom: Was it acceptable for Charlie Hebdo to publish Mohammed cartoons?